Our return to Railay afforded some nice views of the sun going down. And of our beach. 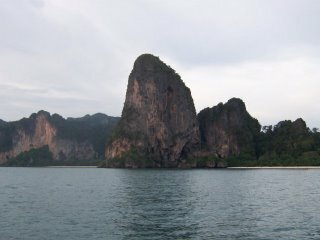 Railay is on the left of the large Karst. 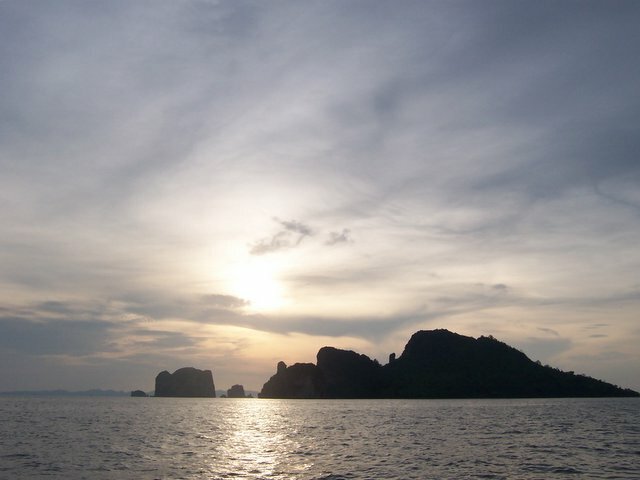 Phra Nang beach is on the right. It was a great beach too, but dominated by the Rayavadee resort, a $500 and up a night place. They did provide access to the beach for us commoners though. Very thoughtful. Krabi, and especially the area around Railay, is the preeminent Thai rock climbing area. 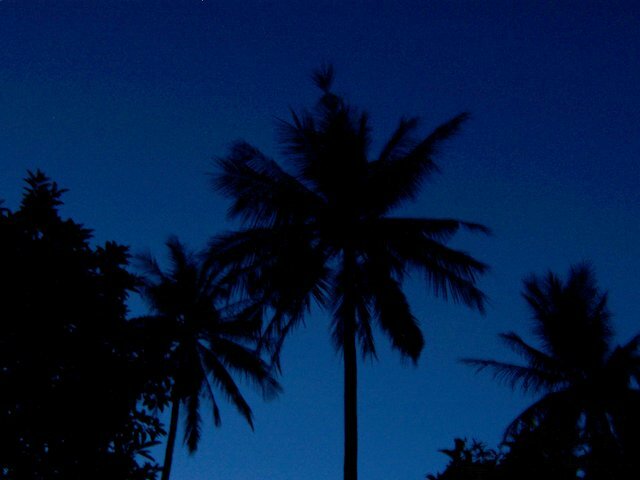 We stayed at ground level, or, when scuba diving, under it.